17’. Ghezzal shoots just over. 20’. Rognier scores with a 20-metre left-foot shot from outside of the area. 0-1. 27’. Fekir makes a tackle to clear off the line. 64’. Fekir earns a penalty… and converts it himself. 1-1. 67’. Dupé stops Cornet’s shot. 69’. Ghezzal’s shot is turned just over the bar. 70’. Cornet heads in from a corner. 2-1. 75’. Gillet scores with a header from a corner. 2-2. 80’. Cornet vos home from a Memphis header. 3-2. 90’. Ferri’s chipped shot is cleared of the line. 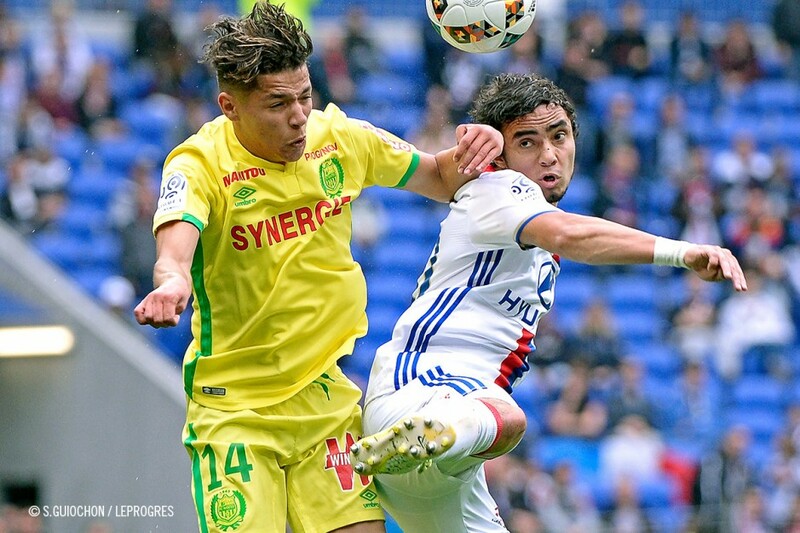 With Bordeaux held to a draw and OM facing Nice in a tough contest later in the evening, it was a good chance to just about make sure of a fourth place finish. 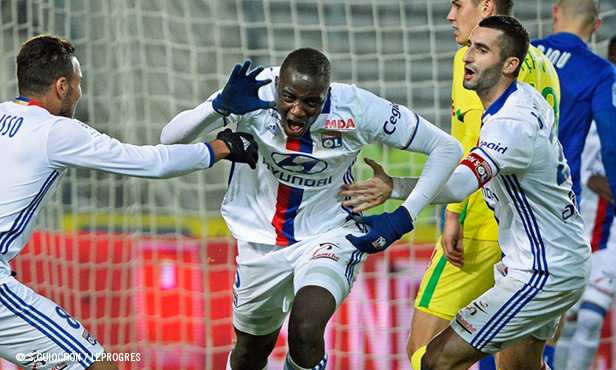 A win would also help Lyon reassure themselves a few days ahead of Europa League return leg against Ajax. 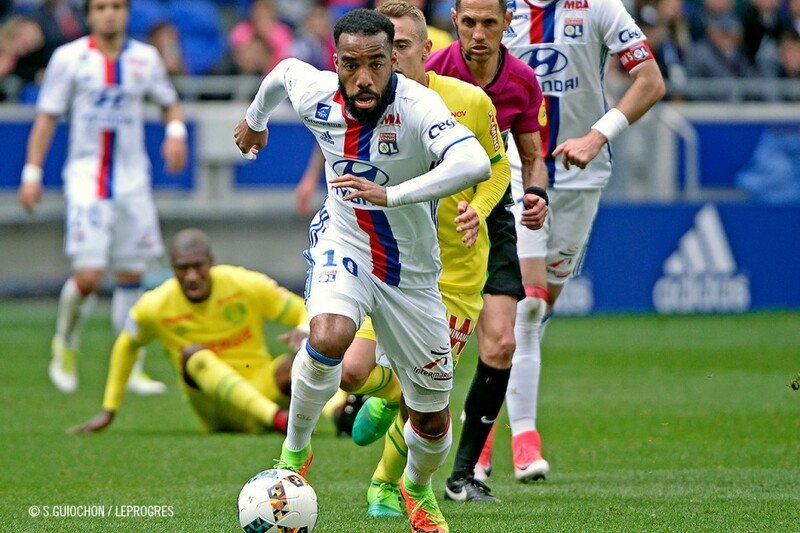 With Lacazette starting, OL showed their determination in the early part of the match. But a wonderful strike from Rongier from the edge of the area saw Lyon’s backs up against the wall once again. 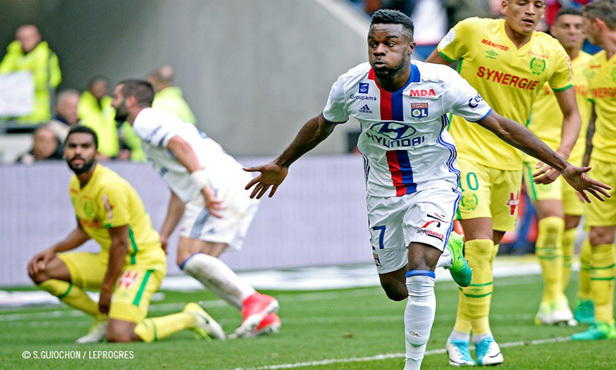 Lyon tried to react immediately and created some threats, once forcing Nantes to clear off their line. Eight shots with two on target… it wasn’t enough and the score didn’t change before half time. 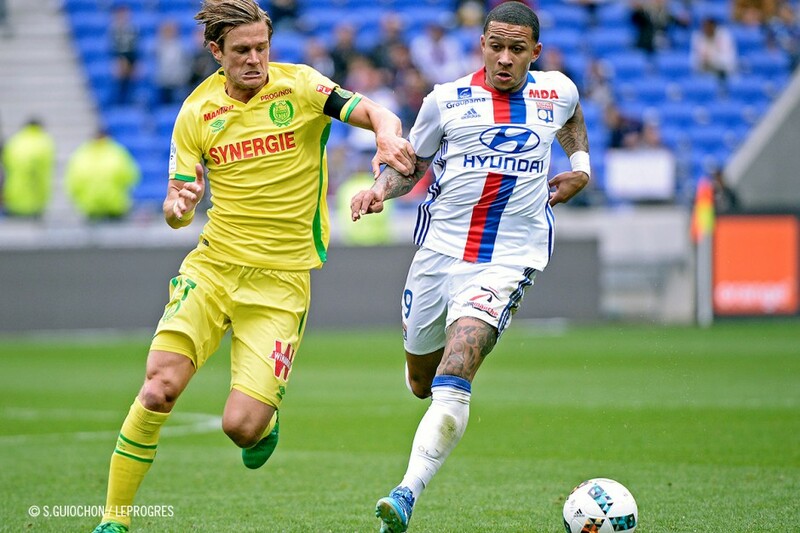 Lyon needed to find more attacking inspiration against a compact defensive formation. 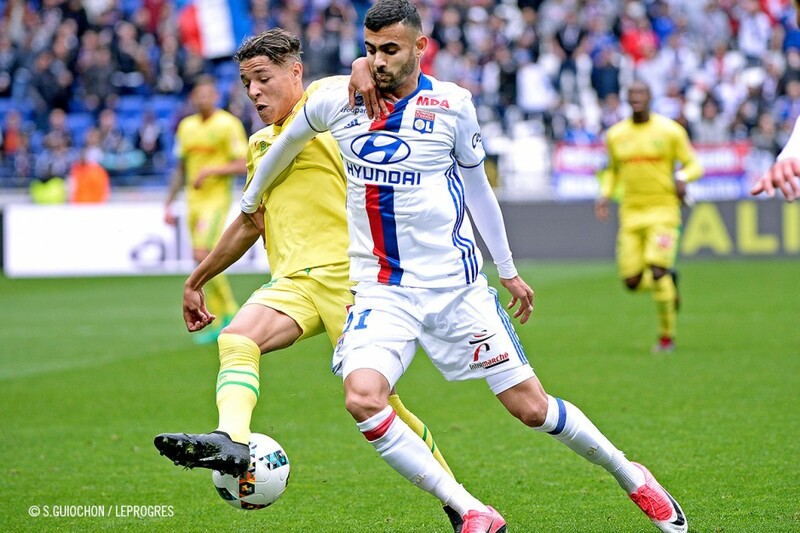 But the first quarter of an hour of the second half was, unfortunately, played at the same tempo… until Fekir’s lightning run that resulted in a penalty that he converted himself. OL looked a better side after that and their efforts were rewarded five minutes later with Cornet’s header from a corner putting his side back into the lead. But soon afterwards, Gillet followed suit to head in and even things up again. But that scenario didn’t last long. Cornet knocked Memphis’s header into Dupé’s goal ten minutes from time. Just what Lyon needed. So OL held on for a precious win in the race for fourth place and are now six points clear of Bordeaux, eight ahead of OM (who play Nice tonight) with a fairly strong goal difference. They now turn their attention to the huge challenge they face against Ajax during the week. 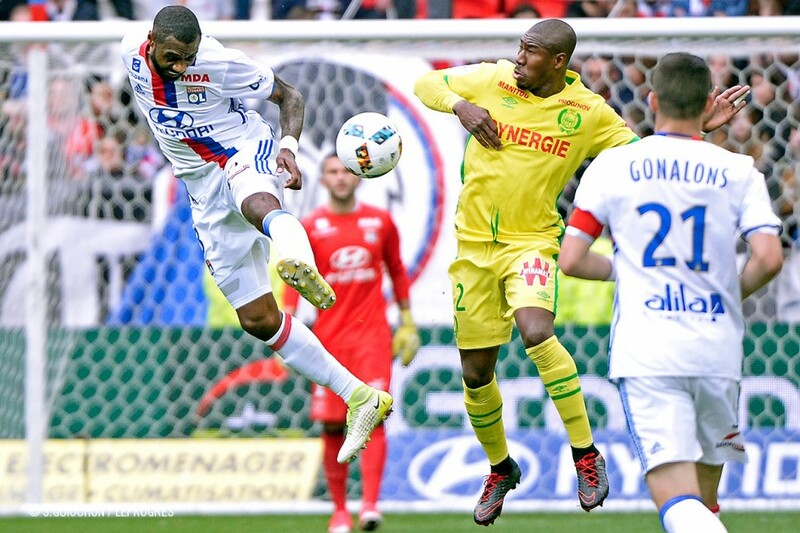 The OL number 27 had clearly set out to make his mark on this crucial match against Nantes. 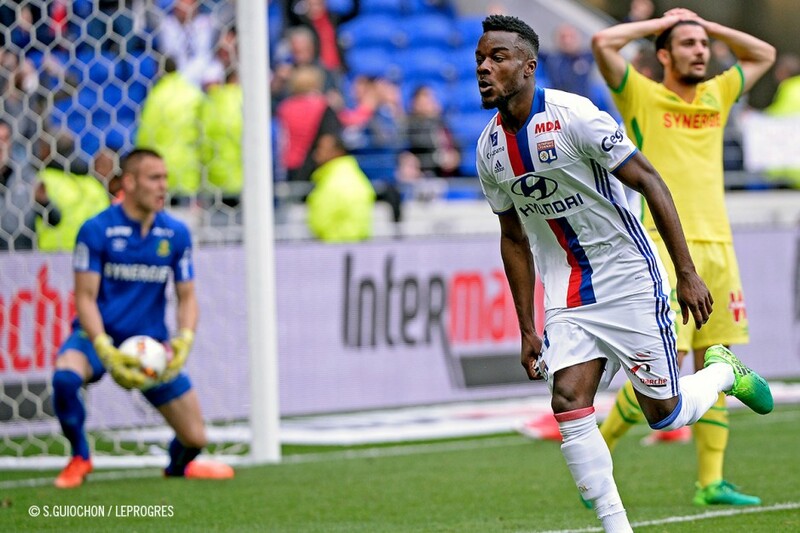 Having had a tough time in the match in Amsterdam last Thursday and substituted at kick off, Maxwel Cornet went on for Alex Lacazette at the hour mark to turn this keenly contested match around twice thanks to his fifth and sixth league goals this season. 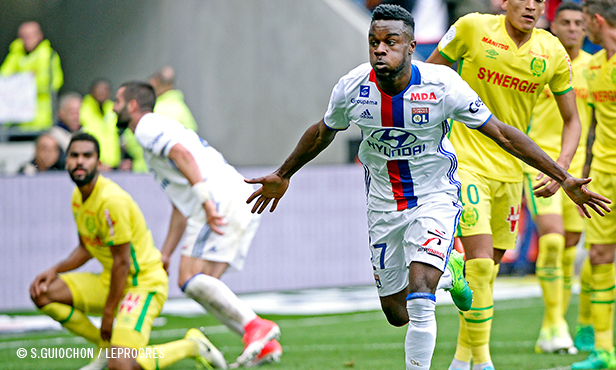 Only ten minutes after going on, the Lyon winger gave his side the advantage with a close-range header before answering Gillet’s equaliser a few minutes later with a well-executed goal. Lyon had been waiting for this for more than two months. 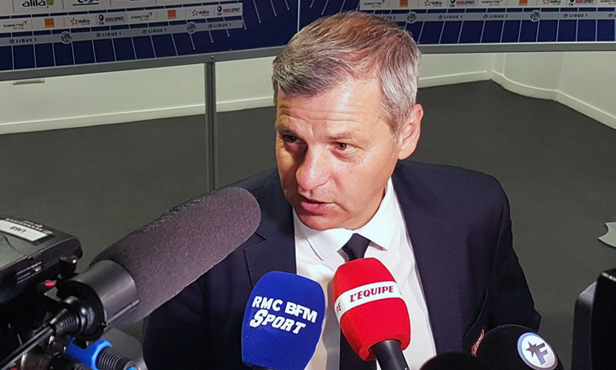 Thanks to this 3-2 win against Nantes coming a week after the one they picked up at Angers, Bruno Genesio’s players have managed to put two league wins together. They haven’t put successive wins together since February when they beat Dijon 4-2 then won 5-0 against Metz a week later. They failed to win in the weeks after their victories against Toulouse and Metz. Referee: Mikael Lesage. Attendance: 34 473. Gaols: Rongier (20’), Gillet (75’) for Nantes. 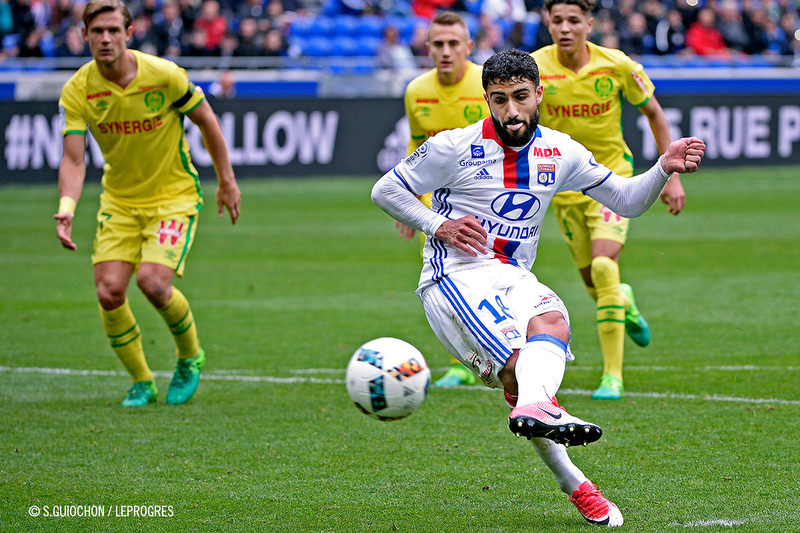 Fekir (pen, 65’), Cornet (70’, 81’) for l’OL. 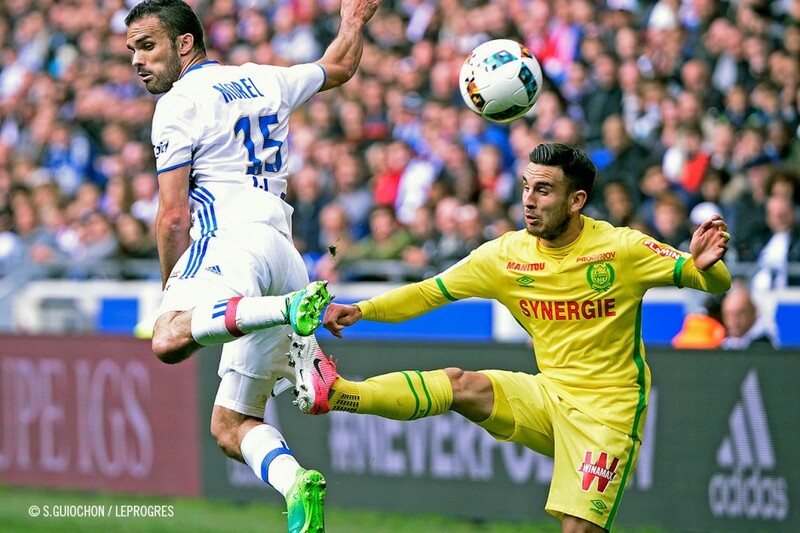 Avertissement : Diego (45’) for Nantes. 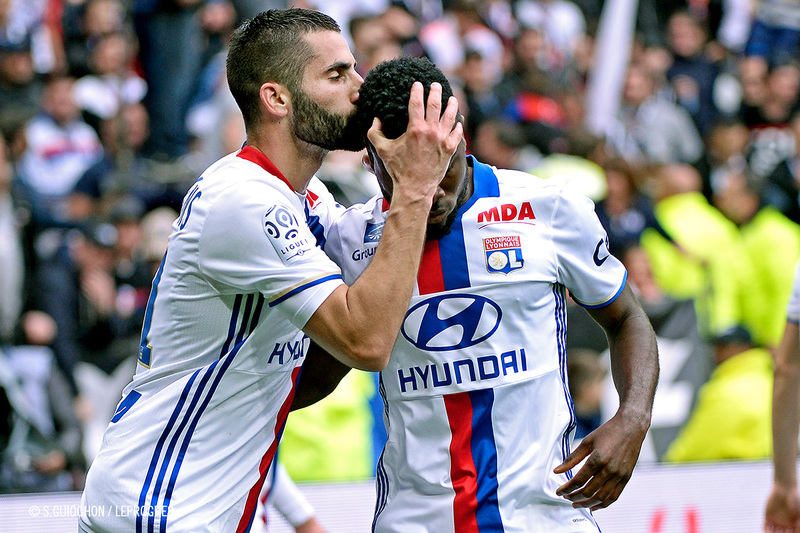 OL: Lopes – Rafael, Nkoulou, Mammana, Morel – Tousart, Gonalons (cap.) 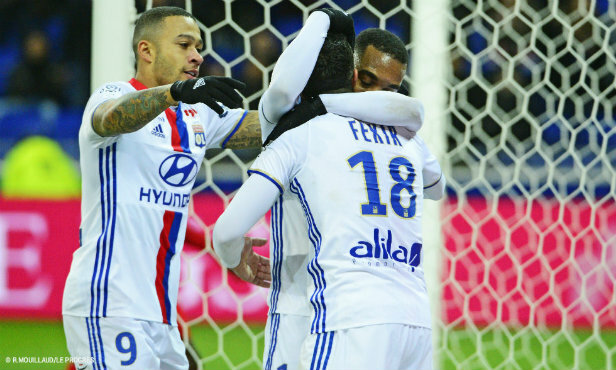 – Ghezzal (Valbuena, 71’), Memphis, Fekir (Ferri, 81’) – Lacazette (Cornet, 62’). Coach: Bruno Genesio. 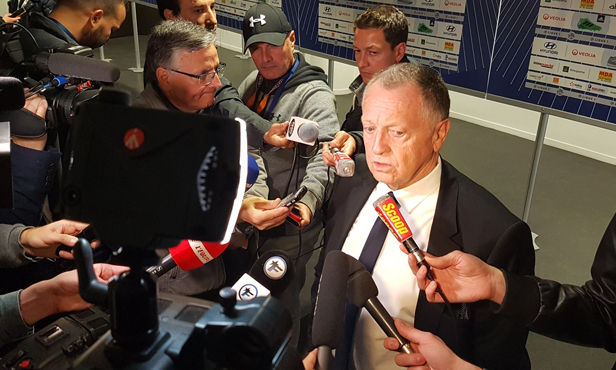 Nantes: Dupe – Dubois, Djidji, Diego Carlos, Lima – Gillet (cap. 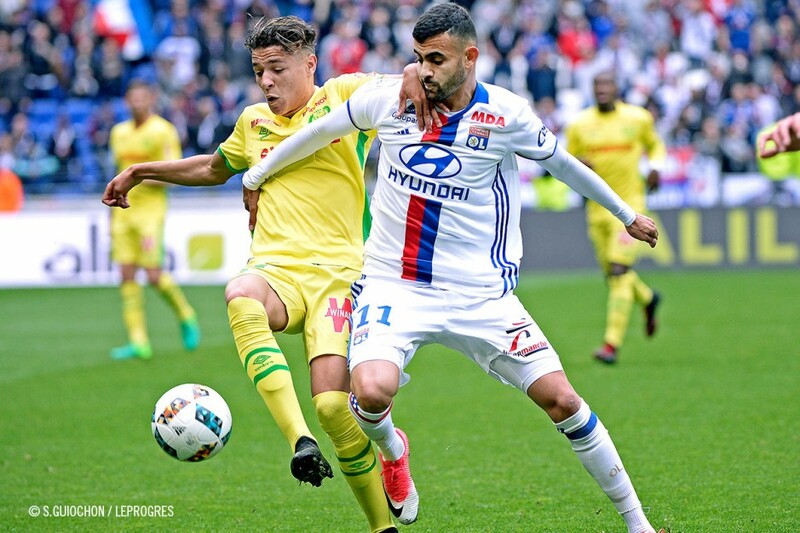 ), Harit, Rongier – Thomasson (Olivieira, 87’), Sala (Iloki, 81’), Nakoulma (Bammou, 63’). 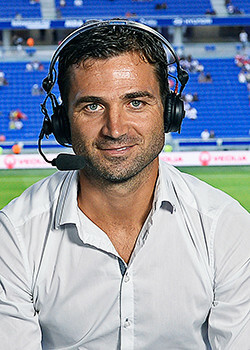 Coach: Sergio Conceiçao.